For only the second time in 65 years, the San Diego Rotary Club on Thursday recognized a married couple as “Mr. and Mrs. San Diego” for 2017. The acknowledgement by one of the world’s largest Rotary clubs went to Mel and Linda Katz for their success in business and collective devotion to both economic development and civic improvement. Mel Katz has been a San Diego business and civic leader since 1977, when he purchased the local Manpower franchise with Phil Blair. Today the two partners have franchises in six states, and are the largest Manpower franchise in the United States. Katz has been an advocate for education, civic improvement, and economic equity for working people He was a major public supporter of San Diego’s landmark minimum wage and sick leave measures. He currently serves as a board member of the UC San Diego Foundation, the San Diego Rotary Foundation, e3 Civic High and inewsource. 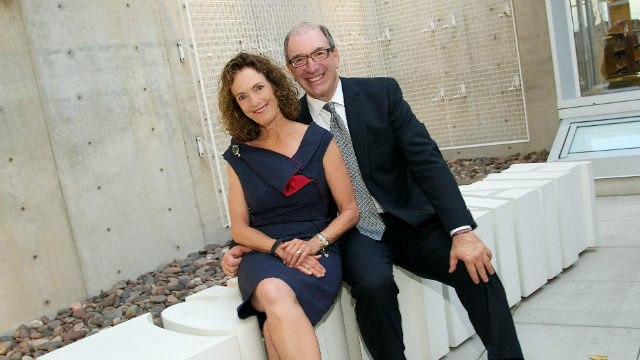 As board chair of the San Diego Public Library Foundation, he helped raise $195 million for the new Central Library downtown. Linda Katz has been a full-time community volunteer and social activist for more than three decades, with a passionate commitment to supporting the most vulnerable populations of women and girls. She is the founding president of the San Diego Women’s Foundation, a co-founder of Women Give San Diego and long-time supporter of Planned Parenthood of the Pacific Southwest. She is a past board chair of LEAD San Diego, Serving Seniors and Rady Children’s Hospital Auxiliary. The couple has three children and five grandchildren. While the Mr. and Mrs. San Diego award has been in existence since 1952, the Katzes are only the second married couple to receive it. San Diego Rotary will present the award at its Sept. 14 luncheon.